RAND has put out a new report titled “High-priority Information Technology Needs for Law Enforcement.” Thanks to RAND and John Hollywood for all of the hard work that clearly went into this report. Top needs identified in the document include common operational picture to support day-to-day command and control, knowledge management systems that can integrate multiple data streams such as RMS, CAD, and LPR cost effectively, and improved data interoperability and data sharing capabilities. Lumen offers a unique and cost-effective solution to these needs. If you were to talk to Lumen customers, you’d find that Lumen is meeting these three areas (and more!) day in and day out. Contact us if you want to learn more! 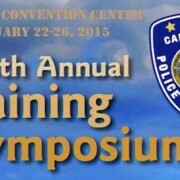 We will be attending the California Police Chiefs Association Annual Training Symposium February 24, 2015 in Riverside, CA. Look for our booth in the Exhibit Hall from 11 am to 6 pm! We will be doing live demonstrations of Lumen. TechCrunch has a story on Palantir today. It sounds like a great product, but everything that they describe as a Palantir capability, Lumen can do too, and at a fraction of the price. For example: “Detectives love the type of information it [Palantir] provides. They can now do things that we could not do before. They can now exactly see great information and the links between events and people.” Or this one: “Users do not have to use SQL queries or employ engineers to write strings in order to search…Instead, natural language is used to query data and results are returned in real-time.” Again, check! If this sounds like something you need, but you can’t afford Palantir’s seven-figure price tag, then Lumen is worth a look. To check out the full article and see what else Nick has to say, click here. Thanks to all who stopped by to see us at the 2014 CCIAA and IACA Annual Training Conferences! Missed us at the conferences? Check out www.trylumen.com to see what the buzz was all about. What is enterprise search and why should you care? 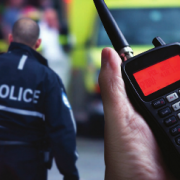 Digital information is becoming increasingly important to law enforcement. RMS, CAD, LPR, body camera video, cell phone forensics, mug shots, digital crime scene photos, email boxes, and file archives are just a few of the data sources that must be managed, searched, and analyzed in a modern police department. While there are many solutions that address a particular type of information, too often police personnel are left struggling to access 5 or 10 different internal systems just to piece together the information they need for one investigation or analyst report. “Enterprise search” describes a suite of technologies designed to address this problem. As defined by Wikipedia, enterprise search is “the organized retrieval of structured and unstructured data within an organization.” When searching for critical information, you want to be able to find and analyze it no matter where it lives in your agency. And yet, most law enforcement software on the market today can only reach into one slice of data. With Lumen, we’ve worked hard to implement an enterprise search and analytics platform specifically designed for the needs of law enforcement. That means it is a secure, CJIS-compliant product inside and out. It is fast; results appear in a fraction of a second. And it is easy to get started, with minimal IT requirements and an intuitive interface. If Lumen sounds like a solution that your agency needs, contact us today! https://www.numerica.us/wp-content/uploads/2014/11/logo1.png 0 0 Numerica https://www.numerica.us/wp-content/uploads/2014/11/logo1.png Numerica2014-03-17 14:31:062015-01-06 17:09:44What is enterprise search and why should you care? We’ll be demoing Lumen at the 2014 County Sheriffs of Colorado Conference and Exhibitors Show Jan 8 and 9th at the Embassy Suites in Loveland. Please stop by our both and see Lumen in person!